Could a New Type of Toothbrush Eventually Reduce the Need for Dental Implants in Leeds? Scientists have produced a new type of toothbrush using a 3-D printer, and it’s been claimed that it is capable of thoroughly brushing your teeth in less than 6 seconds. It utilises the same type of technology used to fit braces, and each toothbrush is individually created to exactly fit your mouth. The appliance looks almost like a mouthguard and contains lots of interdental bristles that are angled to reach along your gum line. You then have to use special techniques to bite and grind against the appliance for approximately 6 seconds. The makers claim this is sufficient to clean your teeth, and that’s it is equal to 3 minutes of brushing time with a manual toothbrush. They also claim that it will help ensure the whole mouth is cleaned, as many people to miss certain areas of their mouth when brushing. It even has little slots for floss threading as it’s been claimed you can floss your teeth and clean your tongue all at the same time as brushing your teeth. This brush does rely on users following very specific techniques and movements. Like all the alternative methods of tooth cleaning, if these are not followed then this brush is likely to be no more effective than something a lot cheaper. Not surprisingly some experts are sceptical and point out that more research is needed, and that good technique is everything. This brush is not cheap either as it costs approximately £250 for a toothbrush that is supposed to last a year. The manufacturers do point out that subsequent brushes will be much cheaper, but it’s still a huge outlay when you consider a good manual brush can be purchased for just a few pounds. Dr David Brown and all the dentists at Leeds City Dentalcare take preventative dental care very seriously, and we always encourage patients to ask questions about how they can improve their daily brushing and flossing techniques. If you’d prefer not to spend so much on a toothbrush then we can show you how to brush properly to get the most out of your manual or electric toothbrush. We know lots of people also hate flossing, but there are lots of things that can be done to make this task easier and more effective, just ask your dentist in Leeds for a practical demonstration. We can’t show you techniques that will clean your teeth thoroughly in just a few seconds, but we can show you how to make sure you clean all the surfaces of your teeth in just a couple of minutes. It is important that you take the time to brush your teeth and floss each day, as otherwise you are at risk of developing gum disease. This common condition is often responsible for tooth loss, and is one of the main reasons why dental implants in Leeds are so popular. We’d prefer to help you retain your natural teeth for as long as possible, and preferably for your whole lifetime. This entry was posted in Preventive Dentistry on 17th July 2014 by Dr. David S Brown. Have you always wanted straighter teeth, but somehow never quite got around to it, or perhaps you hate the thought of wearing braces for months or even years. It is a common predicament, but modern orthodontics is Leeds could have the solution, and treatment could be easier, faster, and more affordable than you thought. Some orthodontic systems are designed to treat a very comprehensive range of orthodontic problems, and while this might be perfect for anyone who has quite a few problems with their bite, it could be overkill for others. If your teeth are generally okay, and you do not have any trouble brushing and flossing them, then you might just want your front teeth moving into more cosmetically pleasing positions. In this case you may be able to use an orthodontic appliance that only works on your front teeth. For instance, the Inman Aligner is designed to move front teeth that are overcrowded, or which protrude, and it can achieve this in as little as six weeks, or just a few months. It is a removable aligner that is relatively discreet to wear. It uses two opposable bows that are controlled by springs and which use very gentle forces to constantly move the teeth into the correct position. You need to wear the appliance for between 16 and 18 hours a day, and it is only suitable for moving the front teeth. 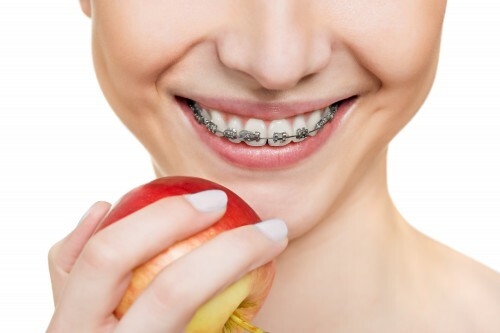 It’s less expensive than alternative solutions such as fixed or clear braces, but some people might be bothered by the wires being more visible. However it’s well worth bearing in mind that this type of brace is worn for a very short period of time. The length of treatment can range from six weeks up to 16 weeks. If you think your orthodontic problems may be more complicated than you might need to consider a different system. These are all things that Dr David Brown or another of our dentists at Leeds City Dentalcare can discuss with you. For example if you find it hard to floss your teeth, or if you struggle to brush all the surfaces of your teeth due to them being crooked or out of alignment then you might need more comprehensive treatment. In this case your orthodontic dentist in Leeds may suggest a different system such as Invisalign or possibly Fastbraces. Invisalign is extremely well known and is virtually invisible as the aligners are made out of clear plastic. These braces are fully removable but still need to be worn for most of the time. Fastbraces is a fixed brace system that concentrates on moving the tooth root and the tooth at the same time, making treatment much quicker. We do see a lot of adults who wish to straighten their teeth. Most choose to do so because they hate their crooked teeth and feel self-conscious about smiling and talking with others. What many people don’t realise is that having nice straight teeth makes keeping them clean much easier. Nowadays braces are easy to wear and easy to keep clean, so why not give us a call to discover exactly how orthodontics in Leeds could help you. This entry was posted in Orthodontics on 7th July 2014 by Dr. David S Brown. 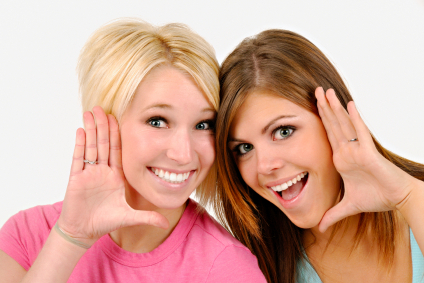 Are you considering having a smile makeover in the next few months, perhaps for a special event? If so it might be worthy booking a consultation with Dr David Brown or another of our dentist in Leeds to find out exactly what will be involved. You’ll get the chance to discuss your smile requirements with your dentist and can find out exactly what is realistically possible as well as how much treatment will cost. Your dentist will also provide you with a written treatment plan that gives you a breakdown of all the costs involved. This could allow you to spread treatment over a longer period of time so you can save up a bit if necessary. It’s also quite easy to underestimate the amount of time required to complete a comprehensive smile makeover. If you intend to have quite a bit of work done on your smile then it’s worth bearing in mind that even the planning process can take quite a bit of time as it’s important to make sure this first step is absolutely right. Some treatments, such as dental implants take several months to complete, and the process might be even longer if you require bone grafts prior to implant surgery. Having a bone graft is a straightforward procedure, and it’s something that can sometimes be done at the same time as implant surgery, but otherwise it might be necessary to complete it as a separate procedure prior to having your dental implants inserted. It’s something that is necessary if you have lost a substantial amount of bone from your jaw, for instance if you lost your teeth quite some time ago. Having a dental implant allows your cosmetic dentist in Leeds to optimally place the implant in a position where it will function properly and will provide great aesthetic results. A conventional dental implant takes between three and six months to place, and having a bone graft could add several months to the process. Sometimes it may be possible to place implants that can be loaded with a crown, bridge or denture more quickly, but even so the first restorations are likely to be temporary while the implant sites settle down at this allows the implant post to integrate fully with your jawbone. Other treatments such as dental veneers, crowns and bridges can be completed much more quickly with just a few visits to Leeds City Dentalcare spread over a few weeks. Popular treatments such as teeth whitening are also very quick, especially as you can complete the process at home. If you require dentures then you may need to visit our surgery quite a few times in order to have specific impressions and measurements taken of your face. These are all extremely important to make sure your new denture restores the correct dimensions to your facial features, so it provides the very best cosmetic dentistry in Leeds. Making sure you allow time for all your cosmetic dental treatments to be completed helps to make sure the process is far less stressful. It also helps to ensure that we have plenty of time to perfect your smile prior to your big event. It gives you time to get used to your new smile and in addition allows plenty of time for all your restorations to settle down. This entry was posted in Cosmetic Dentistry on 3rd July 2014 by Dr. David S Brown. If the onset of autumn has left you feeling down in the dumps, especially after such a great summer, then you may be looking for ways to lift your spirits. One thing that might help is asking your cosmetic dentist in Leeds about ways of improving your smile, and it could be cheaper than you imagine. There are lots of things that can be done that are particularly expensive, and some will also help to improve your oral health. For instance if you haven’t visited Leeds City Dentalcare for a while then why not book a checkup and professional cleaning? This should be part of your preventative dental care regime, and having your teeth professionally cleaned will almost certainly leave them looking a little whiter than before. It’s an easy way to put a sparkle back in your smile. This is because the process does remove some of the surface stains from your teeth, and it’s also good to get a clean bill of health from Dr David Brown or another of our dentists in Leeds. During your check-up your dentist in Leeds will also assess the state of any fillings as these do need renewing every few years. This is an excellent preventative dental care treatment, but it can also help to boost your smile. Tooth coloured composite resin fillings become stained and discoloured after a few years, so having them renewed is an easy and affordable way to help improve your smile. If you still have any amalgam fillings in your mouth then you may wish to replace them with more modern composite resin fillings. Amalgam fillings used to be placed as standard in the back teeth as they are very strong and durable, but they’re not exactly pretty. If you’re still dissatisfied with the colour of your teeth then there are various ways we can help. It is a nice time of year to whiten your teeth, and Leeds City Dentalcare can provide you with custom-made whitening trays that you can use at home. These gently help to lift the stains from your teeth, restoring them to a more pleasing colour. The great thing about having your teeth professionally whitened is that you can be sure you’re doing it safely and that it is not harming your teeth and gums in any way. You’ll also achieve the very best results. Teeth whitening is great, but bleaching can’t remove internal stains from the teeth. In this case your dentist in Leeds may advise whitening your teeth in another way, and one of the easiest ways to do so is to simply have the tooth veneered. This is also an excellent choice if you’re unhappy with the shape of some of your teeth, or perhaps they have some minor chips or cracks that need repairing. Dental veneers can be placed in just two or three visits, and even having one or two can make a considerable difference to your smile, especially if you have your teeth whitened beforehand. There are lots of things in cosmetic dentistry in Leeds can do to help improve your smile so if you’re interested then it’s worth booking a consultation to see exactly what can be done. This entry was posted in Cosmetic Dentistry on 30th June 2014 by Dr. David S Brown. Is Fluoridated Water a Good Thing? Adding fluoride to the public water supplies is something of a contentious issue. Its addition to drinking water in the US has been hailed by many as being hugely successful in improving oral health. While this is something that has been done quite routinely in many parts of the United States for the past sixty years, it is quite a different story in England. Here some ninety percent of the population does not have access to fluoridated drinking water. 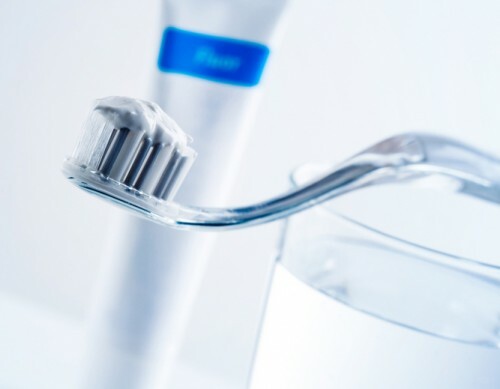 In spite of this, most toothpaste contains fluoride, and your dentist in Leeds will always provide you with additional fluoride treatments if they think it is necessary. A recent survey found that nearly 80% of the population would support the addition of fluoride to public water supplies, and the possible addition of fluoride is seen by Dr Nigel Carter OBE, chief executive of the British Dental Health Foundation, as being a positive thing. It is true that whenever it is added to drinking water the levels are very carefully monitored to ensure it is completely safe. But why is fluoride so good for dental health? Fluoride is a mineral that is found naturally in certain foods, and in some water. It is useful in helping to protect teeth against decay, as it helps to harden the tooth enamel. Tooth enamel is the hard outer layer of tooth that helps to protect the much softer layers of tooth that lie directly beneath it. Every day your tooth enamel is subjected to acidic attack, and this is something that softens the enamel and which leaches out some of the essential minerals in the enamel, including calcium and phosphate. The process is called de-mineralisation, and it happens every time you eat or drink something that contains high amounts of sugar, carbohydrates, or which is naturally acidic such as citrus fruits. As the tooth enamel softens, it becomes more prone towards developing cavities and lesions. Fluoride helps to re-harden tooth enamel, speeding up a process called re-mineralisation. This is where the mouth begins to become less acidic as saliva helps to dilute the acids, and is also where some of the minerals leached out of the enamel are re-deposited, helping to harden the enamel. If Dr David Brown, or another Leeds dentist, thinks you may be more at risk of tooth decay then they may recommend additional fluoride. This is something that can be applied to the teeth as a varnish, or through using trays that are left in the mouth for five minutes or so. They may also recommend the use of fluoride mouthwash, in addition to using fluoridated toothpaste. People who may be at increased risk of tooth decay include those with dry mouth, as well as people on certain medications such as drugs for high blood pressure, anxiety or depressions. People who have received radiation treatment for head and neck cancers are more prone to tooth decay. Even though fluoride is a good thing, exposure to excess fluoride while the adult teeth are still developing, can lead to a condition called fluorosis. This creates white or brown stains on the teeth that can sometimes look unsightly, and which may require the attention of a cosmetic dentistry in Leeds. Overexposure to fluoride tends to occur if you lived in an area with naturally fluoridated water as a child and is caused by the fluoride being ingested rather than applied topically. This entry was posted in Cosmetic Dentistry on 26th June 2014 by Dr. David S Brown. A recent report has found that more than a quarter of children under the age of five have tooth decay, and most of these have cavities in an average of between three and four teeth. These figures come even though oral health care has improved over the last few years. 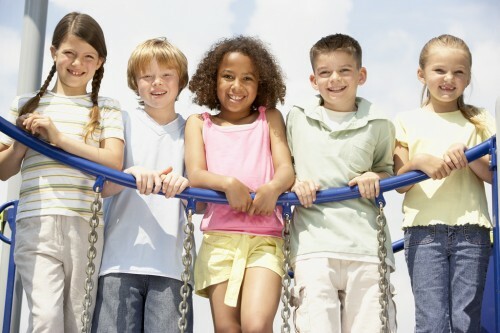 The study was carried out by Public Health England, and surveyed 133,000 children. Even though these figures sound shocking, overall the levels of tooth decay have declined, and the proportion of children with untreated decay has fallen. If you have young children then you are encouraged to bring them to visit a dentist in Leeds, so we can check to see that their teeth are developing normally and that they do not have any issues with dental decay. Some parents do underestimate the importance of milk or baby teeth, and think that because they are replaced in just a few years there is no real need to take care of them. This could not be further from the truth, as these milk teeth are every bit as important, and deserve just as much care as adult teeth. In addition it is much better to get children into the habit of looking after their teeth as soon as possible, rather than neglecting oral health until their adult teeth have erupted. We know it can sometimes be a bit of a battle to clean young children’s teeth, but is so important to persevere. You do need to clean your children’s teeth for them until they are aged six or seven, and even then it is worth making sure they are supervised and that they clean their teeth thoroughly. There are various things you can do to help make the task more interesting so it eventually becomes a habit that is deeply ingrained. For example make sure you buy them child oriented dental products, such as themed toothbrushes and toothpaste that is especially made for children. Electric or battery toothbrushes make tooth cleaning more fun, and have the added advantage of having timers that enable your child to time themselves as those two minutes are easy to overestimate. If they use a manual toothbrush then invest in a timer that can be kept in the bathroom; you can even get fun shaped timers, for example in the shape of a tooth, to help encourage them to use it. Flossing is another important part of the routine, and once again make sure you buy floss they are able to easily use, and which doesn’t feel uncomfortable or too thick. Of course, regular dental visits with Dr David Brown or another dentist in Leeds are essential. Leeds City Dentalcare is used to treating younger patients, and will do everything possible to put your child at their ease as we want to encourage them to visit a dentist regularly right throughout their life. You’ll also find we can give you lots of useful information and help on caring for your child’s teeth, keeping their smile healthy right into adulthood. This entry was posted in Preventive Dentistry on 23rd June 2014 by Dr. David S Brown. Do you think you might be interested in having dental implants in Leeds? They are a terrific invention, and have been safely used for decades. Technology surrounding dental implants is improving all the time, and now researchers have discovered that diamonds could be useful in helping to promote bone growth. These aren’t the sparkly ones, so there is no need to worry that your teeth will have an extra gleam. Instead they are minute nanodiamonds that are produced as a by-product of mining and refining conventional diamonds. These diamonds are just four to five nanometres across, and are completely round, just like a very small tennis ball. So far, researchers have found that nanodiamonds could be useful in helping to treat osteonecrosis, a condition that can destroy bone. Osteonecrosis is a condition that can occur as a side effect of chemotherapy, and bone loss in the jaw can make it difficult for sufferers to eat and speak, and can lead to dental implants in Leeds becoming loose. There are ways in which surgeons can try to repair the damage caused, but these are often costly and quite invasive as they involve small sponges being inserted to deliver bone growth proteins. Nanodiamonds could be used to deliver these proteins in a way that is less invasive, such as through the use of an oral rinse, or by an injection. Nanotechnology is very exciting, but obviously it may be a while before nanodiamonds are being routinely used to improve bone growth and to help dental implants that are in danger of failing. In the meantime Dr David Brown or other dentist at Leeds City Dentalcare can provide you with a full assessment to see whether or not dental implants would work well for you. Although dental implants are an excellent way of replacing lost teeth, they are not the quickest method, and it is important to be patient during treatment. Most people will be suitable for dental implants, provided they are in good general health and do not have any unresolved dental problems, but your dentist in Leeds will discuss your medical history with you to make sure this is the right course of treatment. If you smoke, be prepared to quit as smoking hinders healing, and could increase the chances of implant failure. If implants aren’t ideal, then there are other ways of replacing lost teeth that can still produce good results, and which can be completed more quickly than dental implants. Conventional dental implants take approximately three to six months to complete, whereas another treatment such as a dental bridge can be completed in just a few weeks. Bridges can provide very nice looking results, but you will need to have the teeth adjacent to the gap ground down as these must be crowned to support the replacement bridge tooth, something that is called a pontic. These are all things you need to weigh up when deciding whether or not to have a dental implant in Leeds. This entry was posted in Dental Implants on 19th June 2014 by Dr. David S Brown. Cosmetic Dentistry in Leeds Can Make Your Teeth Look Great, but What Things Could Harm Your Smile? Sports Drinks. If you like to work out then you may be in the habit of having a sports drink to top up on vital fluids, but although these drinks are increasingly popular, they’re not very good for your teeth. It’s been found that many are quite acidic, and could wear away your tooth enamel. In addition these drinks can contain high amounts of sugar that are the ideal food for bacteria that will produce acid as a by-product, increasing the chance of tooth decay. Citrus Fruits. Citrus fruits are well known for containing high levels of vitamins C, something that’s generally considered healthy. However they also contain citric acid which can erode your tooth enamel, increasing the risk of cavities. If you enjoy a nice juicy orange than it’s worth rinsing your mouth with water afterwards or chewing sugar-free gum that contains xylitol, as this ingredient can help to inhibit bacteria that cause cavities. Teeth Grinding. Teeth grinding or bruxism can do a tremendous amount of damage to your smile, and is something that often occurs at night making it difficult to detect. Teeth grinding can wear down the teeth and can also affect the gums. This is something that Dr David Brown or our dentist in Leeds can help you with through prescribing a custom-made mouthguard to wear at night. Wine. Many of us like to enjoy a glass of wine, but regular consumption could damage your tooth enamel as wine can be quite acidic. This applies to both white and red wine, and both can increase the rate of tooth staining. Dry Mouth or Xerostomia. This is a condition caused by insufficient saliva, and it’s another thing that can be very harmful for your teeth and gums. Saliva helps to keep your mouth clean and hygienic, washing away excess bacteria and helping to neutralise acids. If you do have dry mouth then there are several things you can do, including making sure you drink plenty of water, chewing sugar-free gum to stimulate the production of saliva, or using an artificial saliva substitute. Overusing Teeth Whitening Products. If you choose to have your teeth whitened at Leeds City Dentalcare then we will give you plenty of advice on how often you can touch up the results. It’s important to follow this advice closely, as over bleaching your teeth could increase tooth sensitivity, and after a certain point they probably went to anything to help bleach your teeth. Poor Diet. Your diet does affect your teeth, so if you’re watching what you eat make sure you’re getting plenty of vitamins and minerals necessary to keep your smile healthy. Your diet should contain adequate amounts of vitamins C, protein, calcium, B vitamins and folic acid. Taking care of your smile will help you get the most out of your cosmetic dentistry in Leeds, and will help ensure the results last as long as possible. This entry was posted in Cosmetic Dentistry on 16th June 2014 by Dr. David S Brown.